As we kick off 2019, it’s good to get a feel for what’s expected to take place in the fuel industry as it concerns the construction industry. Here’s what Bob Lennox with Western Global shares. What trends are occurring in the environmental safety arena, regarding fluids? One of the biggest trends in the U.S. is a move toward above-ground fuel tanks in construction yards, fleet refueling stations, and other fuel-dependent industries. Many people used above-ground steel tanks in the 1950s, but those started to shift to underground style tanks for fire related safety. In 1988, regulations enacted by the EPA further enhanced certain codes for underground tanks, pushing the market shift to underground tanks. Most underground tanks offer a life expectancy of approximately 30 years, meaning many of those tanks will now be in need of replacement and improved tank technology means the pendulum is swinging back to double-walled, above-ground tanks. As those replacements occur, customers will have the option to replace with another underground tank, or an above ground tank featuring advanced technology for venting and fire safety. As more and more companies recognize that underground tanks are not without risk—namely unseen fuel leaks—there will be a rise in demand for above ground fuel tanks that offer enhanced monitoring and safety features. This affects everyone from local gas stations to construction companies with refueling capabilities. What new and existing features do Western Global products include to prevent environmental issues? Western Global offers several accessories that help prevent environmental issues. An optional locking cabinet reduces the chances of fuel leaking from the nozzle. Optional containment monitors signal an alarm if fuel is detected in the containment basin, and remote monitors can send that information to someone at the head office. Special vents prevent vapors from escaping the tanks and causing hazards for workers in areas like mines or other tight spaces. How do Western Global’s environmental safety technologies benefit contractors beyond giving them the ability to comply with regulations? When it comes to smaller, temporary fuel tanks, such as the TransCube and Fuel Cube, people are realizing the benefits of a fully contained tank and pump box. More and more companies are recognizing that not only are spills bad for the environment, but they also affect their bottom line. If a jobsite is using a single-wall tank that doesn’t have a containment basin and someone improperly operates the nozzle, there’s potential for gallons of fuel to hit the ground. The costs and time involved to remediate such a spill, in addition to the cost of lost fuel, are significant. Such incidents can require a report to the state and proof that all contaminated soil was removed. There’s also the potential for hazardous fuel getting onto workers themselves. If a company is running a smaller fuel tank on a jobsite, to run a generator for example, there’s potential to save quite a few man hours. Instead of refueling the generator roughly every 8 hours, the contractor can simply hook up one of our tanks directly to the generator and their fuel jobber might only have to fill the tank once a week. This reduced amount of fueling also decreases the chance of spills. Routine maintenance on a tank helps to ensure there are no cracks or damage that can lead to spills. Western Global tanks have a removable inner tank for routine cleaning, maintenance, and inspection. Larger tanks have an access hatch that allows for easy inspection and simplifies routine maintenance. 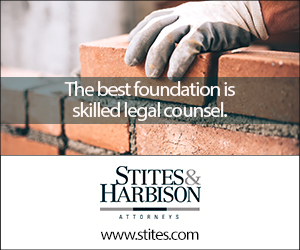 What regulations or compliance stipulations affect Western Global’s products? Our products comply with two different areas of regulatory framework: stationary and secondly moveable dangerous goods. Stationary fuel tanks follow regional regulations that align with the National Fire Protection Association’s Flammable and Combustible Liquids Code (NFPA 30). NFPA 30 provides safeguards to reduce the hazards associated with the storage, handling, and use of flammable and combustible liquids. The transportation of dangerous goods, however, falls under the jurisdiction of the U.S. Department of Transportation or Transport Canada. These regulations outline the safety of the tanks during a crash or impact. Some of our tanks—such as the TransCube—carry both approvals. These hybrid tanks can be transported while full and also serve as a fuel tank onsite. Users must be diligent to check local regulations before installing fuel tanks. The two codes that typically apply are those of the state environmental authority and the fire approval granted by the county authority. Western Global works with customers to assist in making sure these regulations are met. What do you see happening in 2019 in the fuel aspect of the construction industry? As more underground tanks are deemed no longer fit for service, operators will either dig up those tanks and complete the required remediation and replacement or simply shutter the facility. This will result in countless man hours for petroleum contractors and technicians as well as an increase in demand for the environmentally friendly above-ground fuel tanks. 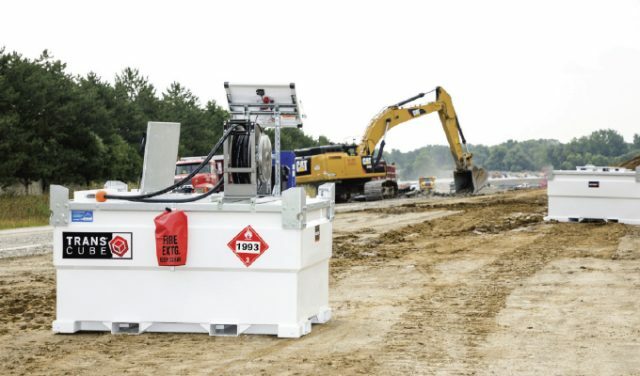 In addition to the environmental impacts, many contractors are choosing to put transportable fuel tanks on their worksites to enhance efficiency and productivity. They’re recognizing that less time spent getting fuel means more time working and completing projects, and with a growing economy, taking charge of their fuel supply means more opportunities and therefore increased profits. Bob Lennox is the director of the Fuel Solutions Group – Americas, Western Global. For more information about the storage and handling of fuel, visit www.western-global.com.